EVERYTHING WE SELL, WE STAND BEHIND AND SUPPORT. We can help you decipher all the buzz words and boil a complex topic down to what matters for your organization. This allows you to have a perfect replication of your Outlook mail to your mobile device (iPhone or Android), Mac mail, and web mail. Imagine getting an email one time, and being able to decide whether to file in a folder, reply, or delete – and have that change be reflected on all your other devices. Mailbox and calendar sharing are some of the other benefits that Office 365 Exchange hosting offers. Each mailbox includes 50GB of storage. Think the same Skype that you’ve heard about for years, but tied in with your Office 365 email account for seamless collaboration with your coworkers. Desktop sharing, yes. Video & audio calls, yes. Multiple people on video and & audio calls, yes. There’s a lot of power here to help your organization collaborate more effectively! Do you need a list of contacts, shared calendar, document repository setup? Sharepoint online allows you to quickly and easily make content available through a web browser to all your users. This is really great for mobile users.  We've assisted and consulted with many companies as they prepare to transition to Office 365. We can help you understand the costs, different licensing plans available, and manage your migration from start to finish. SPECIAL BONUS FOR NON-PROFITS: If you are a non-profit with a 501(c)3 status, we can help you get free/reduced cost licensing through Microsoft. There are a few restrictions, but the offer is pretty generous. How will you survive data loss? We are partnered with one of the leading cloud based disaster recovery companies to provide your company with the fastest possible recovery time in the event of a disaster. If this appliance is destroyed, we can have a drive overnighted from the data center with all of your data.